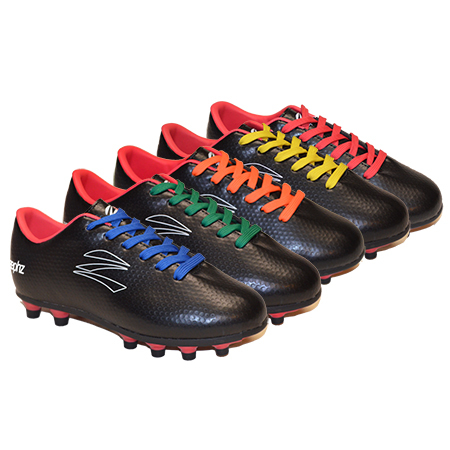 zephz introduces Wide Traxx Soccer in Black/Teaberry. An EE Width shoe that features a modern looking one piece synthetic golf ball design embossed upper. TPU cleated outsole with rivets. Includes nylon black laces and additional bonus colored laces in orange, green, yellow, teaberry, and blue.